Fueltek, the fuel management system specialists, have recently completed a commission by Home Bargains to design, build and install a 205,000-litre fuel storage tank at the retail giant’s Amesbury site at the Solstice Business Park. In order to assist with the large-scale logistics operations carried out by the discount store chain, Fueltek were tasked with creating, from scratch, a green-field fuelling facility. 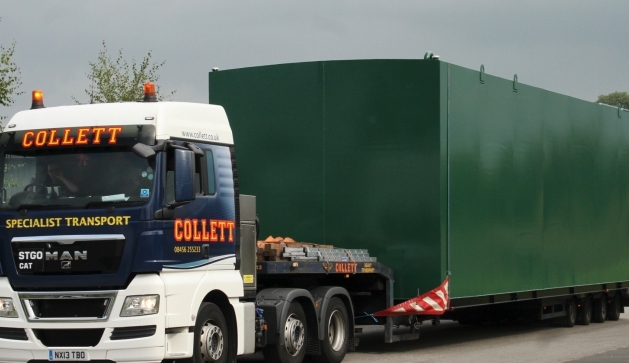 The project was by no means a simple job; Fueltek were required to provide not only the mammoth storage tank, but also the fuel dispensing equipment, as well all the ancillaries, including the underground pipe-work, leak detection, tank monitoring and the fuel management systems. The Amesbury project began with Fueltek discussing the precise needs of Home Bargains, and their total fuel requirements, from delivery to consumption. This meeting with one of the largest privately owned companies in the UK also took in the nature of the business, the way their fuel is used, and the level of fuel control required. By analysing the data acquired, FuelTek were able to create a rigorous and successful operation that gives Home Bargains total control over every litre of fuel in the 205,000-litre capacity tank.